I hope you have some time to read the entire appointed lesson for each day, especially today. The prophet is speaking words of judgment against the house of Jacob for turning away from God, focusing instead on silver and gold, earthly treasures and possessions—warning them that the Lord has a day coming when they will be brought low, humbled so that they hide from fear of the Lord. 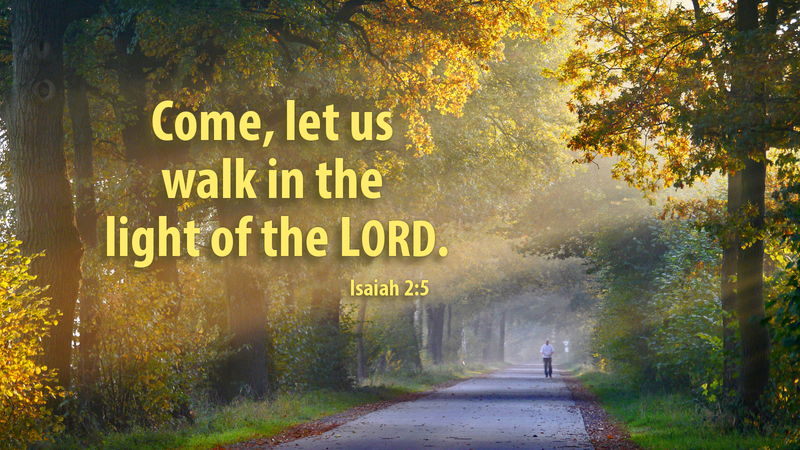 Yet the prophet calls to this same house of Jacob, saying, “Come, let us walk in the light of the Lord.” Though we are sinful people living in a sinful generation, we are always being invited to return, to walk again in the Lord’s light. Martin Luther spoke of Holy Baptism as a daily return, so that the Christian would awake each new day forgiven, cleansed, and ready to walk anew in the light of Christ. Some have claimed that once baptized, the new Christian is never to sin again. While that may be a worthy goal, it is never reality! We are at the same time saints and sinners, Luther says. Baptism is a daily renewal, a daily drowning of the old Adam and Eve—the sinner in us—to be raised daily to new life in Christ. The law convicts us of our sin daily. The promise of God is that, forgiven, we walk in the light of the Lord. Live each day in Advent as a new opportunity to walk in that light. As you go to bed, acknowledge the day’s sin and let it be buried with Christ in His tomb. Then awake anew and afresh, filled with forgiveness and grace, ready to bask in the light of Christ! Prayer: Lord, I want to walk as a child of the Light! Help me to walk in your light, Lord Jesus. Amen.